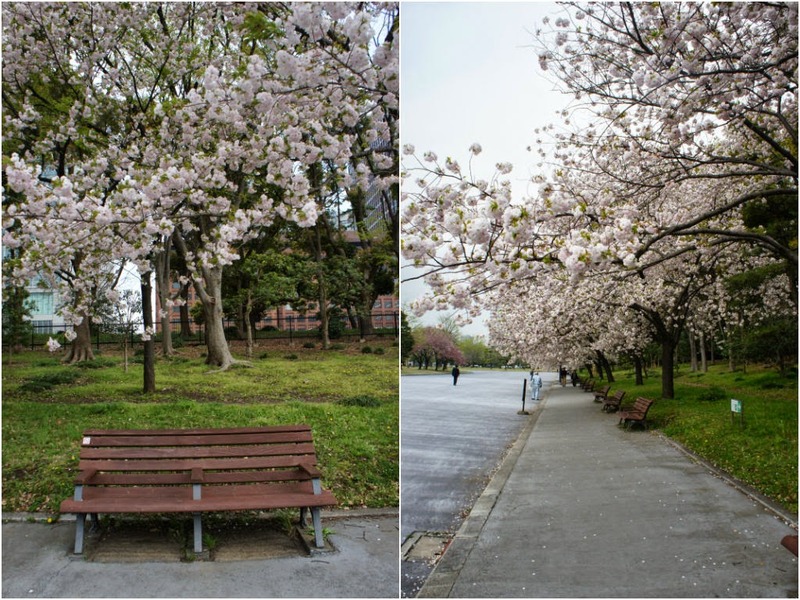 In Japan sakura are blooming, the streets are covered with light pink petals, parks filled with people drinking, eating, laughing celebrating hanami. Japan is connecting to its deepest identity and beauty, magnificient and delicate. And I am here in Paris, miles and miles away. But I cannot keep my mind from wandering, faster than a plane, miles are easily forgotten and I am there, in Kyoto like two years ago, probably close to the happiest I have ever been. 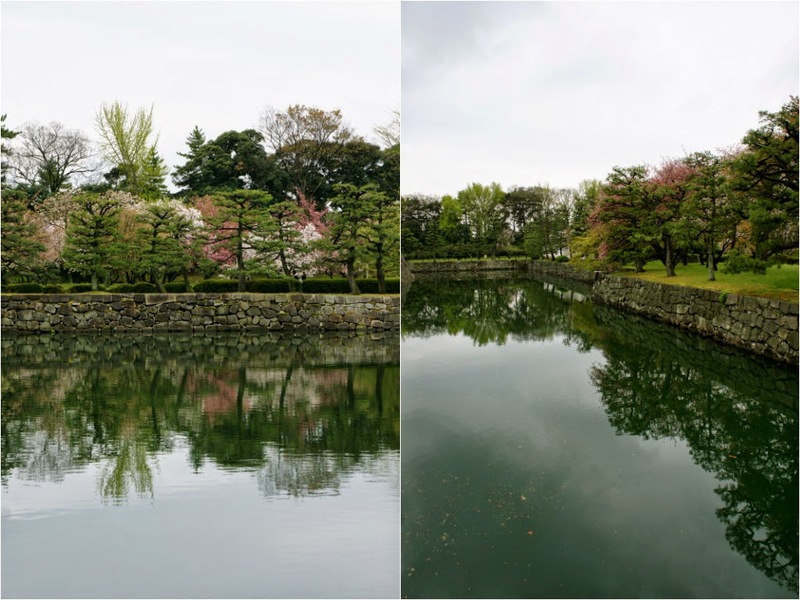 These pictures were taken in the park of the imperial palace in Kyoto, which gardens are breathtaking. 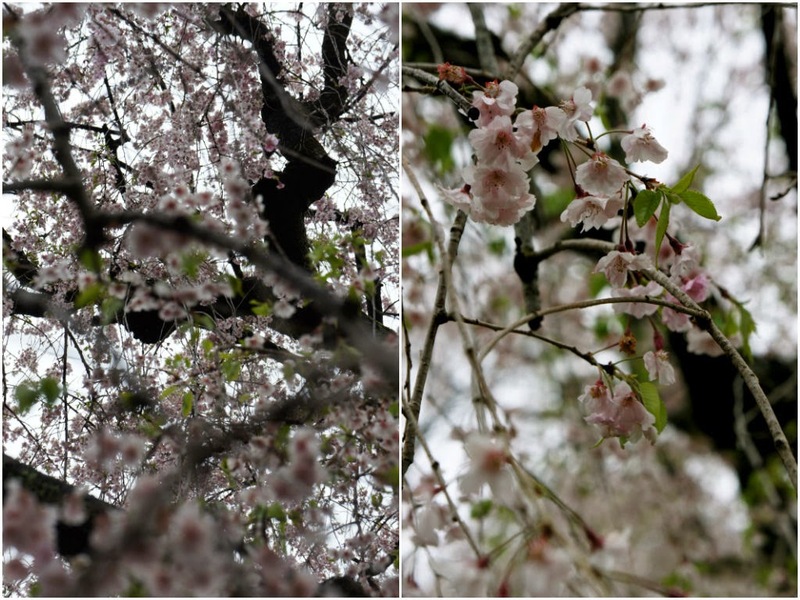 But this is obviously not the only memorable time we came across sakura during our 2weeks stay in Japan. The ones around the imperial palace in Tokyo this time, were as impressive and beautiful. I remember this day perfectly. It was a gloomy and heavy day, the air was thick and humid, for sure a storm was making its way onto the capital city. Yet, the atmospheer was peaceful and soothing. This day it rained on us. And I thought, those flowers so small and fragile, what a terrible assault it must be to be hit by a drop of water. Their petals were being torned and scattered across the floor. Even their death looked beautiful. As I walk in paris streets, in my favourite park a few meters away from home, here they are again, the cherry trees. They look as beautiful as always. And as I raise my hand and softly touch their flowers, it's like Japan isn't that far away. But really ... I miss it. Love the pictures. I wish to come to Japan someday too! I subscribe to your youtube channel and every now and again I read your blog. You're really inspiring, indeed, you inspired me to write my own blog, I've always wanted to have. I lived in Japan for two years some time ago, and I still think about my time there often. Your blog entry on your trip there took me back to that time and some great memories. I do miss it. I hope to go back to Japan someday and visit the country and friends who live there. 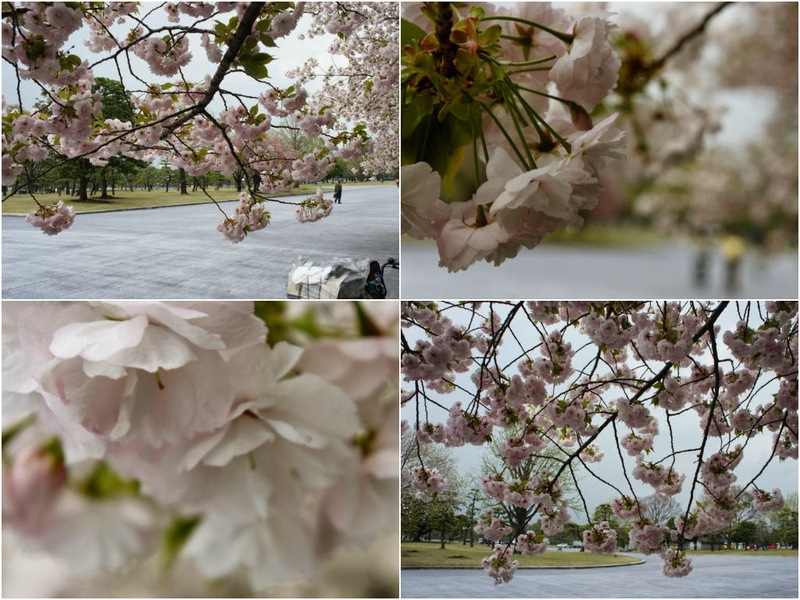 The cherry blossoms are beautiful, eh? BTW, I have watched several of your French language videos, and they have been helpful. I can read academic French, required for my Ph.D. (specialization: linguistics), but I do not speak the language well--"Je ne parle pas francais tre bien." I hope to get better in time. Anyway, I wish you all the best in your travels, Emy, and that, wherever you go, you will feel the happiness you felt in Japan. Enjoy studying linguistics! Jim M., linguist, language geek, and traveler, U.S.A.